Dear Radio Friend, This week's show features stories from Radio Deutsche-Welle, Radio Havana Cuba, Sputnik Radio, and NHK World Radio Japanhttp://www.outfarpress.com/swr190419.mp3 From GERMANY- First news briefs including a wind farm, Greta Thunberg meets the Pope, the extinction rebellion, and Trump vetoes a bill to stop funding the war on Yemen. Read more about The Shortwave Report 04/19/19 Listen Globally! 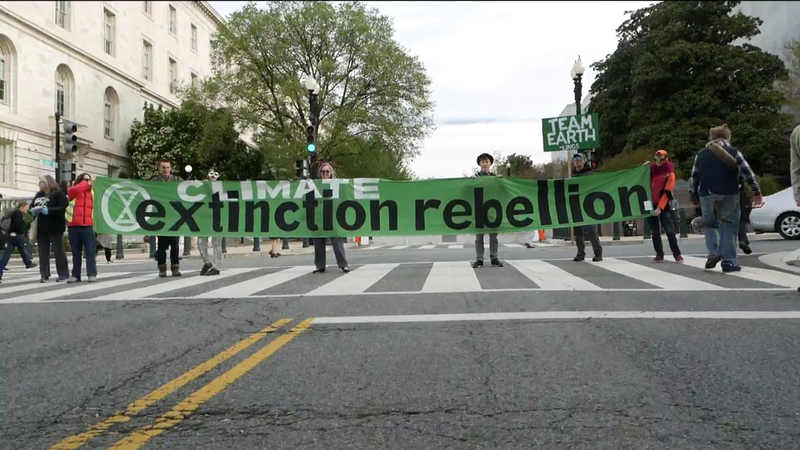 On the 16th of April, the Extinction Rebellion showed up in front of Republican Party headquarters just S of the US Capitol. Extinction Rebellion blocked off First Street and began setting up for the "Climate Games" pitting Team Earth against Team Greed. Capitol Police pounced almost immediately, making 8 arrests within five minutes of their first warning and disrupting the Games. 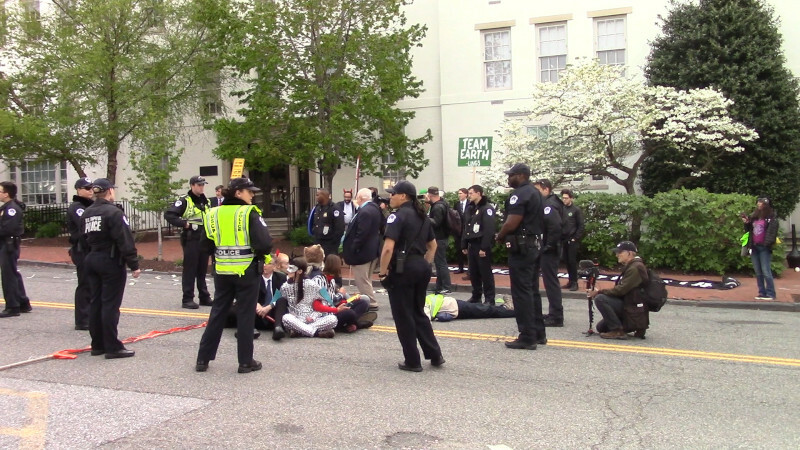 US Capitol Police arrest 8 within minutes as Extinction Rebellion targets the Republican National Committee, part of a global mass movement using civil disobedience in order to demand radical action on climate change. Dear Radio Friend, This week's show features stories from Radio Havana Cuba, Radio Deutsche-Welle, NHK World Radio Japan, and Sputnik Radiohttp://www.outfarpress.com/swr190412.mp3 From CUBA- A few hours ago Julian Assange was removed from the Ecuadorian Embassy in London and charged in court for conspiracy at the request of the US Justice department. Read more about The Shortwave Report 04/12/19 Listen Globally! On the 10th of April, Climate First! disrupted business at a Wells Fargo branch a few blocks north of the White House. 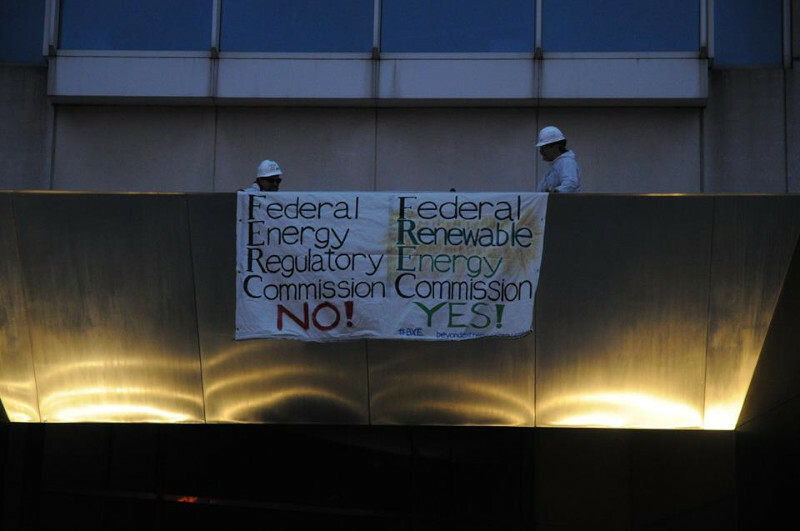 Wells Fargo is one of the world's largest investors in climate-killing fossil fuels. 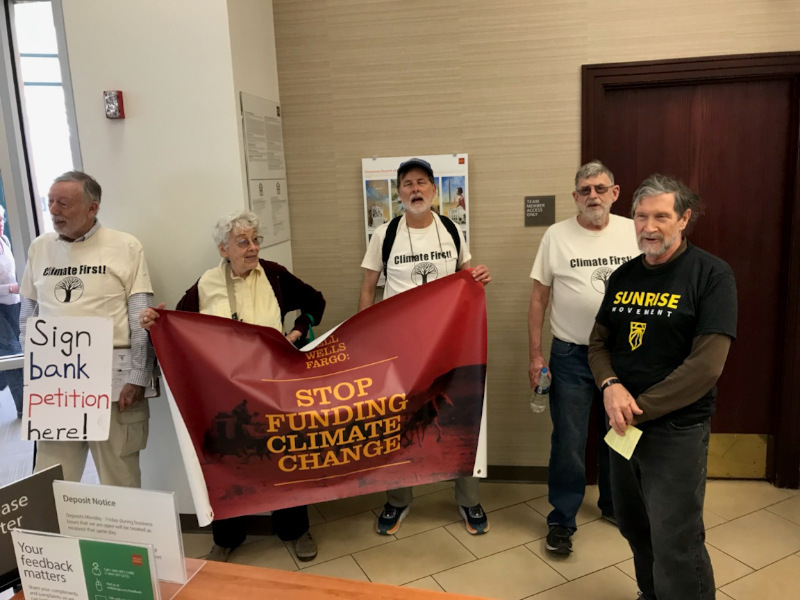 After two activists delivered a demands letter to the branch manager, the rest of the protesters rushed into the lobby with a banner and loud chants. On the 9th of April, the CEO of health insurer Kaiser Permanente appeared at an upscale hotel in DC. He was there to receive a "humanitarian award." Protesters outside the hotel banged drums and blew whistles, outraged that Kaisier is jacking up their rates while the CEO and top executives get millions in executive pay. The MD State Highway Administration has announced a "traffic relief" plan for the Beltway and I-270 that has been reported elsewhere to include widening both roads and making all of the new lanes "variable-toll" lanes that are meant to ensure the wealthy can bypass traffic congestion. States have learned the hard way that widening roads doesn't reduce congestion, so the focus now is paid bypasses for the rich. The Shortwave Report 03/29/19 Listen Globally! Dear Radio Friend, This week's show features stories from Radio Deutsche-Welle, NHK World Radio Japan, Radio Havana Cuba, and Sputnik Radiohttp://www.outfarpress.com/swr190329.mp3 From GERMANY- Mexican President Obrador has asked the Vatican and Spain to apologize for the conquest of Central America 500 years ago. The EU parliament voted overwhelmingly to ban the sale of single-use plastics from 2021. A rocket fired from Gaza hit a house in Israel and set off intense bombing of the Gaza. Read more about The Shortwave Report 03/29/19 Listen Globally! The Shortwave Report 03/15/19 Listen Globally! Dear Radio Friend, This week's show features stories from Spanish National Radio, NHK Japan, Radio Havana Cuba, and Sputnik Radiohttp://www.outfarpress.com/swr190315.mp3 From SPAIN- Hundreds of thousands of Spaniards took to the streets on International Womens Day- as the far-right rises in Spain there is worry that modern progress in gender equality may be revoked. Read more about The Shortwave Report 03/15/19 Listen Globally!